The nation of Venezuela borders the same sparkling Caribbean waters as holiday hotspots like Aruba and Barbados, but despite the beauty of its coastline, tourism has rarely been a priority for this oil-rich country. 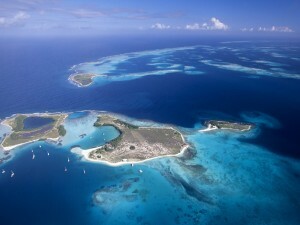 A notable exception is the Los Roques archipelago, a spectacularly beautiful chain of coral reef islands encompassing around 40 square kilometres. Just north of Caracas, the 350 islands and cays of Los Roques are a popular destination for wealthy elites of Venezuela and Columbia – but despite being a National Park since 1972, many of the islands are dotted with luxury villas or boutique hotels. According to Venezuelan president Hugo Chavez, back at work while convalescing from a reportedly successful round of chemotherapy and recent rumours of kidney failure, the public status of these islands poses the question of why land on the islands was permitted to be sold for development in the first place. “There are some houses there that were illegal built,” he said during a telephone call to the state-run television network. “We’re going to take them over.” The islands also support a small community of approximately 1,800, mainly employed in fishing and tourism, who are there legally. 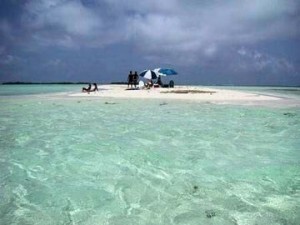 He made his plans for the islands clear; “I’ve always said we should nationalize Los Roques.” The heavily Socialist Chavez government, in contrast to previous regimes, has taken an adversarial tone toward the country’s rich elite, and his move to take back Los Roques for the people has sent a shockwave through the country’s upper classes. Chavez claims that the houses, which are on numerous individual “private” islands as well as the main resort area of el Cayo Madrisqui, were allowed in the public park by corrupt previous governments run by oligarchs. ““The upper-class bourgeoisie privatized all of that (the Los Roques islands) and that’s what we are going to expropriate,” he said during the call. 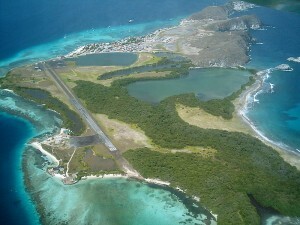 In August, Chavez had declared the islands, formerly a dependency, the Insular Territory of Miranda, which also includes other protected island chains La Orchila and Archipelago Las Aves. “Some people believe that those are autonomous territories. Wealthy sectors and the oligarchy do not event think that they belong to Venezuela,” he had explained his decision. Chavez has amassed popularity among the average Venezuelan by nationalizing a number of private assets during his tenure, including steel mills, gold mines, and industries related to the country’s primary source of income, oil. While the islands of Los Roques would seem far less of a priority than major business enterprises, it is clear from Chavez’s language that what he wants is to send a message. According to the Telegraph UK newspaper, his intentions are to return the islands to his country’s citizens, and make them more accessible for the working person, even suggesting that he would nationalize yachts owned by “fugitive bankers” to use for sight-seeing tours. As he is seeking re-election in 2012, aiming a high-profile salvo at the wealthy in favor of the common man would further bolster his credibility and popular support. And his plans to transform the luxury island villas of Los Roques into, as he intends, inexpensive hostels for the lower classes, certainly couldn’t hurt his chances of being re-elected.